What happens to your mortgage when you sell up? Decided to sell up? Worried what will happen to your mortgage? Here are a few questions to consider. Firstly, understand that all mortgages are not created equal. So, make sure that you read the fine print clearly. It will definitely have clauses for pre-payments and the penalties associated with it. While looking for mortgages, you generally look for the best interest rates, however, it is important to read all the clauses, terms conditions clearly. This will help you when you decide to pay before the term ends. The pre-payment penalties for fixed rate mortgages are generally the highest. Q. I’m selling my current home and need to port my mortgage to a new property. How long can I take to close without too much damage or avoid a penalty? A. Some lenders expect you to close your current mortgage on the same day. There are some lenders who give you a period of 30 – 60 days to close. 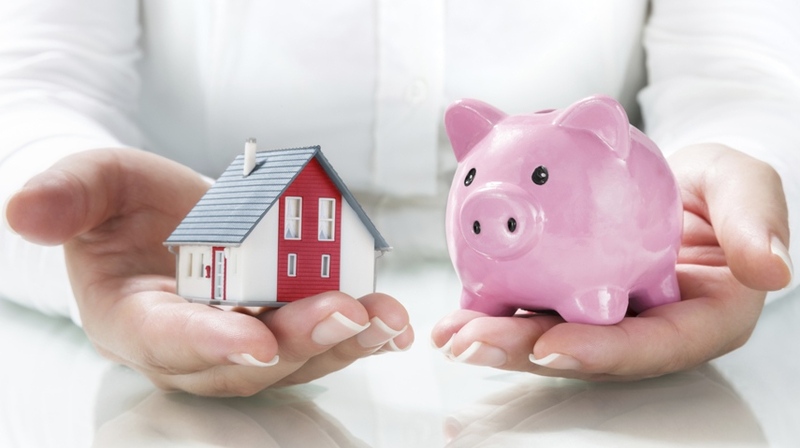 Make sure you understand the policies of your lender. Q. Can I increase my mortgage amount without a penalty? A. There are many lenders who allow you to increase your mortgage amount without any penalty. Some have the facility to blend extend. Others allow you to keep the current loan as it is and give you an additional loan for the remaining amount. Q. Do I have to pay reinvestment fees? A. If the mortgage is paid off within the first three years, some of the lenders do charge a reinvestment fee. You will also have to pay back the cash incentive you got during the first mortgage. Q. What term is used to calculate interest rate differential penalty? A. Some lenders use a shorter term that is nearest to your maturity date. This however significantly increases your penalty. Q. Is the fixed rate mortgage penalty based on posted rate, bond yield or discounted rate? A. Some lenders increase penalties on posted rates. This can dramatically increase you penalty. Some other lenders use the bond yield this generally depends on the bond market. Yet some other lenders use the posted rates and calculate a 3 month interest as penalty. Make sure you ask your lender about his policies and clauses. Q. If I pay the penalty, can I get out of a fixed mortgage? A. Sometimes you cannot get out of a mortgage before maturity unless you actually sell your home. That is why you must ask your lender for all the clauses before you finalize. Q. If a mortgage is broken in order to stay with the lender, is a percentage of the penalty be forgiven? A. The answer to this is that most lenders will allow you to do this in order to keep business. But be careful, make sure that you clearly understand all the clauses and all the terms and conditions before you jump to conclusions. It is important that you ask questions and then take informed decisions while moving up and not being penalized for doing so! Find Mortgage Calculator in Vancouver at nazproperties.com. Mortgage Calculator Find The Best Mortgage Interest Rates. The real estate market is experiencing a surge like never before. The steep rise in prices and the recent cuts in interest rates have all brought about a mixed environment of buying and selling properties in the different segments of the real estate markets. While many consider a move up, many are looking for new low priced properties to start with. The important part in all the dealing is meeting the right Vancouver Realtor. The relationship between a Realtor and an owner or a buyer is very crucial to striking a deal that is beneficial for all. Friends and family are the first place to look for. If your friend or a family member has had a good experience dealing with a particular agent, there is a good chance that you’ll get a good deal due to the familiarity factor. Most Realtor have geographical areas that they specialize in. They also specialize in the type of housing like either condos or detached housing. So, make sure that you ask questions and understand what your realtor specializes in. They must specialize in the same housing type that you are looking for. If you are new to town and have no recommendations for Realtor, just drive around! Check out the signs that say “For Sale”. These signs generally have a number of the realtor that is making the deal for that particular property. If you see many signs with the same Realtor, you can be sure that that one knows the local market in that area well. Open houses are a good way to meet Realtor. This can be done anonymously. It’s best to surf the net, and make a list of Realtor and then interview them one by one. Make sure that you understand their clauses and their knowledge of the area that you are looking for a property in. Don’t just go by the website. Meet them in person and interview them. Realtor work on a commission. So make sure that you discuss the commission before you finalize one. There are absolutely no rules regarding commissions, so it depends on the current rate that all Realtor are charging and you can definitely negotiate a good one for yourself. If you are new to this, interview 3 – 4 Realtor and find out what they are charging and then take a decision. There is always a trade off between the amount you pay and the service you get. So, don’t settle down for the lowest commission to finalize the Realtor, but make sure that you get quality service too. Ask a lot of questions and do your homework before you begin to interview the agents for their knowledge of the area, business and commissions. Also it’s a good idea to do a little research into the standard rate for your property so that you do not get into clashes with lowering the price unnecessarily. Borrowing for down payment? Is it a prudent decision? Saving for a lifetime to buy that dream house? Real estate prices are souring high and for those who never seem to save enough, the good news is that there are options. Well, every option has its pros and cons and how well you manage your payment methods. If you really must step into the real estate market sooner, borrowing the down payment is an option. Well, understand all the aspects of this option and weigh the pros and cons before you decide. For any kind of borrowing, you will be expected to pay some percentage as a down payment. Lenders will expect you to pay 5 percent of the purchase price from your resources. Other resources could be secured line credit and unsecured line credit. You must however have saved money in your account and should be able to show that it has been in your account for the past three months – minimum. • Real estate prices are always on the rise. With this rate, if you wait until you save, your dream house might just slip way out of your reach. So borrowing for down payment may get you there sooner. • If you have been living on rent, you will realize that you are paying for someone else’s property. Well, when you decide to buy, every dollar that you pay is yours and you get to keep it in the form of equity. • The value of your house can grow exponentially and supersede your savings. For example, the prices in Vancouver were up 9.4 percent last year. This price rise definitely means that you get great returns on your investments. • Whenever you purchase a house with 20% down payment, you are also required to pay mortgage default insurance. The premium largely depends on the size of your payment. Borrowing from secured sources like the HELOC in order to increase your down payment could significantly reduce your monthly payments and save you thousands on insurance. • If you borrow from a financial institution, your amount borrowed will have a higher interest rate than the mortgage. • The borrowed amount adds to your monthly debts. You will be repaying the mortgage and the borrowed amount all together. This leaves you with very little cushion if your monthly income does not support this. • This will definitely have a great impact on how much you are permitted to borrow for the actual mortgage. Overall, borrowing for down payments could be wise or it could put you through a financially stiff position. So, analyze your resources and make sure that you consult an expert if need be. Even if you decide to borrow for down payments, keep space for unexpected expenses and then decide on a comfortable amount to borrow. With changing times, single family accommodations are becoming lesser and lesser affordable. So, how can a city create homes for families? New West has taken the right steps to combat this by ensuring that new developments have units that are large enough to accommodate families. It is the first city in Vancouver to mandate a fixed number of three bedroom units per new development. It’s now mandatory for all new development projects to have at least 30% of two and three bed room units. Owned projects should have at least 10% of three bedroom units. Rental projects should have a minimum of 25% two to three bedroom units and minimum of 5% should be three bed room units. For many young families, a single family home becomes quite unaffordable. If the city has to grow, it has to ensure that residents get a favorable lifestyle and multi-family units can easily provide for that. Including high rises and traditional single family accommodations, New West ensures that families at all stages of life can afford and live in a neighborhood of their choice. The town is a mix and match of both styles of living making it an appealing place to look at for your next real estate investment. Well, because of the lack of affordable units, many families look across the border, which in itself is a sign. Young families need not have to cross city borders to live a good lifestyle. Taking this as a challenge, the mayor hopes to provide the residents of New West a great urban life by placing restrictions on the development projects to build enough multifamily homes. The two and three bed room units would be built on the lower floors of the buildings in order to address the affordability issue. Other units with pent houses have a higher price associated with them. The policy also focuses on bringing the larger units to the lower floors in order to balance the prices and make housing an affordable affair in New West. Families of all sizes can now find comfortable homes within their budget. The city will benefit from such an arrangement with the ability to provide housing for a variety of ages and demographics. This will also ensure that in this fast paced world, there is always space for families in our society. Even though the development industry expressed some concerns regarding such an arrangement, the mayor strongly believes that this is a good step towards the well being of the young and old families that have been home hunting for an affordable and comfortable living. The law would be effective from Jan 2016 and all future development projects would require to comply with these laws. The trend for single bedroom and studio units will now steadily shift towards multifamily units making the city more family friendly that caters to the needs of families of all sizes and demographics giving it a more friendly-neighborhood effect! Naz Allahyari, is a full-time Vancouver Realtor® & Specializes in selling or buying a home in North Vancouver, West Vancouver, and as well as condos in Downtown Vancouver. Selling your home sweet home? Make sure you know how to stage it well! Staging is the ultimate solution to get top dollars for your property. Creativity and style can help you showcase your home in the right light to make it look worth the price you are asking for. The aim is to create a universal appeal and to style it with the minimum. When you sell a property, the buyer is going to take a look at every detail – right from the runways to the living room. Home stylists understand the importance of aesthetics and hence give your home the ‘look’ that will sell. Generally, this is not an added expenditure. It is just about working with the available furniture and accessories and moving them around, getting rid of some and adding something else. Well, whether to style your house pre-selling it is your decision. But, be aware, that it definitely makes the process easier and faster with very little or no investment on your part. Here are a few tips to make your home look aesthetically pleasing and ‘ready’ for sale! Finding a reliable stylist is the first step. Your real estate agent could help you find one if you need one. They will analyze the requirements and give your home a perfect look. They will bring all the necessary artwork etc. Here are a few things you should be looking out for while styling your home. Be sure to clear away all the clutter. The potential new owners of the house will want to walk into the house and imagining what they would want to make it look like. The kitchen and the bathrooms are the key places to concentrate on for cleanliness. Make sure your home is spick and span before you show it to potential buyers. Personal pictures and any other such personalization should be completely removed. Anything that reflects your ideals and views too should be removed – like religious items, pictures of pets etc. In short, make a truly neutral and beautiful presentation of your house. Over decorating the house takes away the charm. Keep artwork and flower vases to the minimum. Make sure that you decorate the house, but within limits. If there is a dripping tap or a broken chair or anything that will break the look of the house. Make sure that you don’t highlight the little things that are wrong in the house. It must be repaired before the house is shown to the buyer. Proper lighting and proper and minimal furniture placement will ensure that the house gets the initial appeal that is required for making that sale. Well, these are a few things to keep in mind before you sell your home sweet home. A little investment in staging the house in the right way will be far better worth than to reduce the price of the property altogether. Think about it and do it right in the first attempt and get the price your property is worth! Naz Allahyari is a Vancouver real estate agent specializing in selling or buying a home in North Vancouver, West Vancouver, and as well as condos in Downtown Vancouver. Do not hastily sign your mortgage renewal letter. Make sure that you understand all the implications before you do so. Today’s fast pace life adds to the haste and more than 70% of us just sign the letter without reading through the terms or analyzing the implications. So, research a little and ask questions! Well, when you are renewing, you are talking from a position of strength mainly because your property value has increased and the principle has dropped. What’s more you are in a good position to negotiate a good rate. This is very important. You must start planning at least 120 days or 4 months before the renewal. This will give you enough time to research the latest rates and trends. You can look into various options and services provided by different lenders. Check out the latest interest rates and trends. Instead of blindly signing on the letter sent to you by the Bank, make sure you enquire about the current rates and the possibility to lower your interest. Well, most banks would prefer to retain you as a customer with slight adjustment in the rates. It’s a win-win for both! The whole idea is to start over with new rules and rates. It does not make sense to lock yourself up in higher rates. Mortgage experts can easily guide you to the lenders who are providing better rates than what you are currently paying. Since you started your mortgage, there will definitely be new products and features in the market. The point is to research well and select the one that is advantageous to your current lifestyle. Same Bank and Same Rules? No obligations there! There is absolutely no obligation to stick to the same bank and same rules. You can make changes as per your payment standards. Selecting another lender that provides you with greater re-payment facilities and better services and rates is a good idea. Look for someone who allows you a lump sum payment option. If you have the resources to pay a large amount of your principle, it could greatly lower the total time period for your mortgage. Make sure that switching to another lender is worth it. Similarly, do not hastily change your lender lured simply by the lower rates. The key is research their authenticity too. Well, getting experts to do this hob for you is a good idea. Have an expert review your situation and get advice on whether sticking with the current lender is advantageous or switching will be beneficial. Closing your mortgage sooner is a good option. If you keep rates low, but pay off with the current amount without affecting too much of your lifestyle, it will definitely free you of your entire mortgage sooner! Vancouver the Best Place to Own Your Dream Home! Described as the ultimate city to live in by various lifestyle enthusiasts and travel guides, Vancouver, has earned numerous accolades as one of the world’s best cities to live in. Placed amid beautiful ranges of snowy mountains, lush rain forests and distinct clear water on three sides makes Vancouver City the best place to own your own dream Home! Vancouver been the largest city in the province of British Columbia & the third largest city in Canada is home to over 2.6 million residents and is very well known for its relaxed atmosphere and scenic beauties. The city is also renowned for preserving its natural beauty within the metropolis. It has all the urban amenities of a major city; well connected roads, clear tap water, pollution free surroundings, acclaimed colleges & schools, parks and multi-functional hospitals. Besides serving as an happening place for cycling, boating, hiking & skiing, Vancouver was also the Host City to the Olympic and Paralympic Winter Games in 2010. Today, Vancouver is one of the most densely populated cities in North America due to its urban planning which has primarily focused on high-rise residential and mixed-use development as opposed to urban sprawl. Vancouver’s urban planning practice originated in the late 1950s and is known in the planning world as Vancouverism. Vancouverism relies on careful planning and preservation of its finances to ensure that it remains one of the world’s most livable cities. Moreover, due to the city’s close proximity to mountains and surrounding water resources the Real estate market of Vancouver is largely limited and therefore, it is one of the reasons why Vancouver has emerged as an expensive city compared to other cities in terms of housing prices. The soaring prices came to light after a few dwelling properties hit sky high deals, transcending global housing market prices. So, if you’re one of those who is selling property in Vancouver then perhaps, it is now the best time to get that desired deal as you might have built some excellent equity. For buyers, the market as usual remains volatile. Sometimes it shows signs of capital influx and sometimes deficit but, whatever the conditions are, it is up to you to decide whether to buy a property at a particular time of the year. If funds are of any issue, try mortgage calculators to determine how much you can borrow. Further, if you’re unsure of the neighborhood then perhaps a Vancouver Realtor®/Vancouver real estate agent might be the best person to help you find a suitable location. You may also browse through some Vancouver real estate listings to get an idea about the rates and locality. Searching for your Sweet home? Try establishing contacts with Vancouver real estate agents who specialize in the kind of housing you’re looking for. They are in abundance and survive in healthy competitive market. So, think before you invest and say YES! For sellers, it is highly advised to observe the market closely and track past few months property deals in your neighborhood before deciding on your home’s value. You should also think on who should you engage with, probably Vancouver real estate agents ! and then start scouting for prospective buyers. Irrespective of you been a seller or a buyer, keep your objectives clear about the property and your end goal. Involve with someone who has the knowledge and understanding about market inclination and thus, guides you accordingly.